When it comes to accounting, QuickBooks is recognized as the number one business financial software out there today. That’s why so many law firms use QuickBooks for Law Firms. It takes the complexity out of your financial accounting process and makes life easier for you, your clients, and your vendors. The program was designed specifically with the needs of legal practices in mind so it can handle all the financial management needs of your firm. And, when you combine Quickbooks with your case management technology, your firm can have a powerful, all-in-one law firm solution. Here are some of the ways QuickBooks for Law Firms can make your law office more productive and efficient. Tracks, records, and invoices for legal services rendered, which are often based on varying hourly rates. Records hours worked and then passes the time through to client invoice. Provides one-way synch of accounting data into QuickBooks that eliminates manual data entry, uploads and downloads. Eliminates opportunity for errors and ensures consistency throughout your financials. Automatically generates invoices, sends them directly to your clients, and makes the corresponding entries in the general ledger. Enables customization of existing invoice templates so that your invoices better represent your law firm. 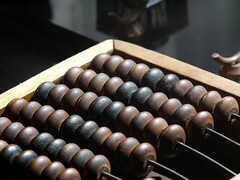 Simplifies the complicated record keeping involved with handling of client monies held in trust. If you use an IOLTA (Interest on Lawyer’s Trust Accounts) you can set up a few QuickBooks accounts to track the transactions. Handles client trust activity and the firm’s accounting in one central location. Documents payments to third parties, reimbursing the law firm on behalf of the client. Provides new customer data synch that eases new customer setup. Allows access to financials anytime from anywhere. With all these benefits, more law firms every day are beginning to realize the benefits that QuickBooks for Law Firms offers. Even more beneficial is the option of integrating QuickBooks for Law Firms directly into your law practice management software, as MyCase does–offering the convenience of an automated, financial software package – including training and support. Learn more about the integration here. So why not get started today? Improve your productivity and simplify your financial management process with Quickbooks. Practice more and manage less.